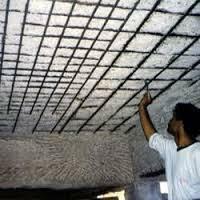 We are a leading Manufacturer of water proofing material from Thane, India. In our broad product assortment, we are occupied in providing an impeccable quality Water Proofing Material. Processed using cutting edge techniques and the latest methodologies, these are made in compliance with the international quality norms. Our offered products are widely used on walls of commercial buildings, bungalows apartments. Apart from this, we provide this assortment in diverse packaging options according to the clients’ requirements at industry leading prices.